One of my favorite things about blogging is the people I’ve met along the way. And when I say “met,” sometimes I really mean connected with online. That’s the story with Jennifer Jackson Linck. 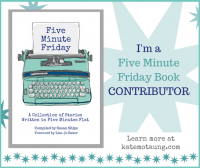 She and I originally connected because a mutual writer friend of ours was sharing about her new book that was coming out. 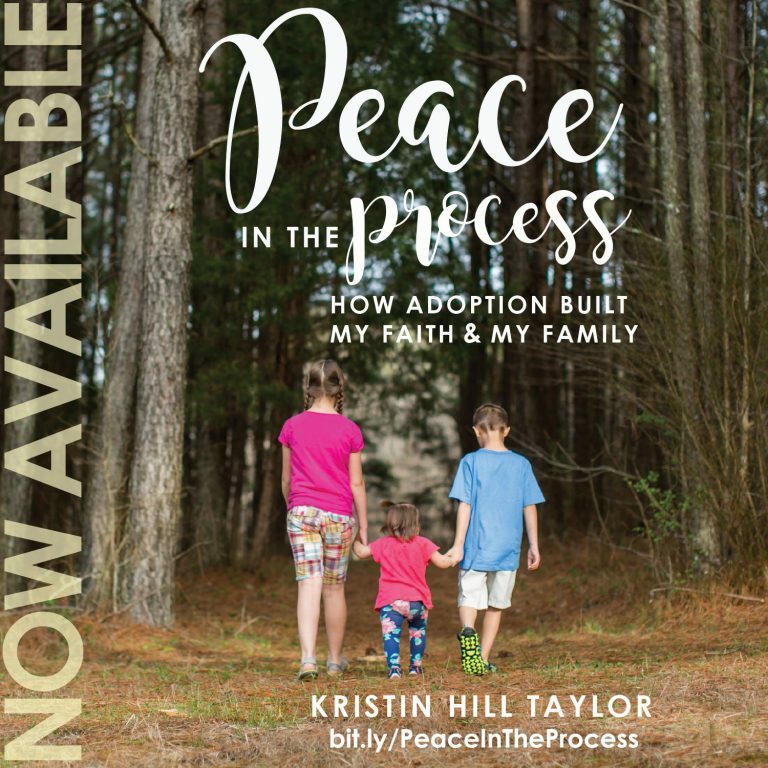 Her book is called “Bringing Home the Missing Linck” and it tells her adoption story and the faith journey that happened in her life. We connected and now we’re friends too. And we’re eagerly awaiting the day to hang out in real life. Until then, Jennifer is here on the blog today telling another part of her family’s story. This part involves her writing a book, but it’s a children’s book that she wrote in honor of her son. 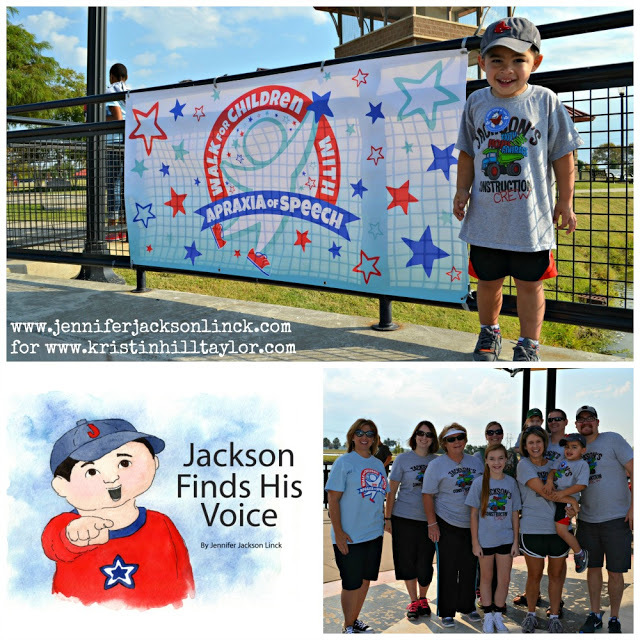 “Jackson Finds His Voice” is available on Amazon, but, first, welcome Jennifer as she shares here today. I was driving home from Jackson’s speech therapy appointment when the idea hit me. There was no burning bush or talking donkey, but I knew it was God prompting. I had always wanted to write a children’s book but I hadn’t thought about that dream in a long time; until that day in the car when I heard Him whisper: Write a book about a little boy on a journey to find his voice. My 4-year-old son, Jackson, has a speech disorder called Apraxia. He knows what he wants to say, but simply can’t. His brain has a hard time getting the proper message to his mouth, lips, tongue and jaw. The words he wants to say literally get stuck in his brain. He’s been in intense speech therapy since he was 18 months old. I knew without a doubt I was hearing God correctly. I went inside, put Jackson down for a nap, and wrote the entire first draft of “Jackson Finds His Voice” within an hour. I wrote the book for Jackson. It’s a tool he can use to share his story as he works towards finding his voice. I wrote the book for other children with Childhood Apraxia of Speech. I pray it will give them a voice. I wrote the book to educate others and raise awareness for the speech disorder that’s still foreign to many people. 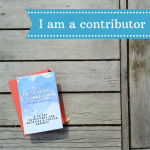 I felt sure I would have the support of the national Apraxia association, that its leaders would spread the word about my book and help get it into the hands of other families who are on the same journey as we are. So imagine my shock when the executive director informed me that they wouldn’t support my book because its theme was too Christian. I write about Jackson and the many other kids with Apraxia being fearfully and wonderfully made. I believe to my bones that God has a plan for each of them. Hearing her dash my dreams left me questioning God. Did I hear you right, Lord? How are other families going to know this book is available? Since receiving those harsh words from the director, God has been doing a work in my heart. God continually asks me to pen words and pray they make a difference in one life! And as I’ve released my dream and grabbed hold of His, He’s been faithful to reveal the impact a few words can have. 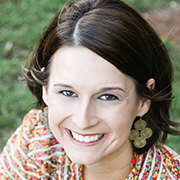 Jennifer Jackson Linck blogs about everyday life at Bringing Home the Missing Linck. She lives in Oklahoma with her husband and son. You can follow her on Facebook, Twitter and Instagram.